The town of North Bergen, New Jersey is located in Hudson County, close to the communities of Guttenberg and West New York. 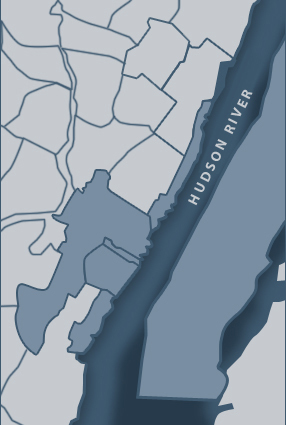 While the community is not directly on the Hudson River, North Bergen runs alongside Cromakill Creek to the west. With ideal access to the New Jersey Turnpike and a wealth of exceptional real estate choices, more than 60,000 residents have decided to make North Bergen their home. Unlike any other area of New Jersey, the community of North Bergen is home to a number of unusual geological formations, including a large landmark of serpentine rock. The unusual rock formations have also created many hills. In fact, North Bergen has the distinction of having the second most hills per square mile, right after San Francisco. This has lead to the creation of many beautiful parks and recreation facilities where residents and visitors can enjoy this beautiful landscape and the backdrop of the Manhattan skyline in the distance. Real estate options are also plentiful here and range from traditional single-family homes and estates to luxurious condominiums and townhomes. 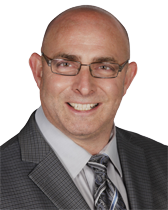 Whether you’re moving across town or across the country, it would be the great pleasure of real estate professional Scott Selleck to introduce you to the North Bergen, New Jersey community and to the wealth of exceptional real estate choices available to you. From condominiums at The Watermark and Mirabelle to quaint townhomes or single-family homes, he looks forward to being your guide. In the meantime, Scott welcomes you to tour his website to learn more about the community and the developments available to you and encourages you to use the state-of-the-art search capabilities of his site to begin your online search for real estate in North Bergen. Should you have any questions or would like to discuss your specific real estate needs, he is just a phone call away. Connect today to learn more!